The launch of Intel’s Z97 chipset is right around the corner, and with Intel’s Haswell refresh, “Devil’s Canyon”, not due out for another month or so, the star of the show is the myriad of motherboards from all the usual vendors. Once again, ASUS’ collection of boards is quite large, so let’s dive right in, and tackle new features as well. It’s a great time to be a PC enthusiast. No, it’s not because we’re soon going to be able to admire the gorgeous weather outside while we’re gaming-it-up on the inside. Instead, it’s that we’re about to be inundated with motherboards equipped with Intel’s latest chipset: Z97. Despite the fact that most information surrounding Z97 is technically under embargo until Sunday, the collective Web has decided that adhering to it is valueless. After one site “broke” embargo (I use that term lightly, since Intel’s embargoes are verbal agreements, and don’t require a signature), another one did, and then another. As it is now, Intel concedes, and we’re now allowed to talk about Z97 without fear of being sliced in half with a wafer Frisbee. But… I’m not going to, at least not here. I’m going to instead begin our Z97 coverage with a look at what’s coming from ASUS, as I did last May. Because the number of features that come with each generation of motherboards is enormous, I’m only going to tackle the features here that I consider most notable – hoping that I don’t overlook something. I’ll tackle other unique features in more detail when I post a review of a board belonging to a series that has them. 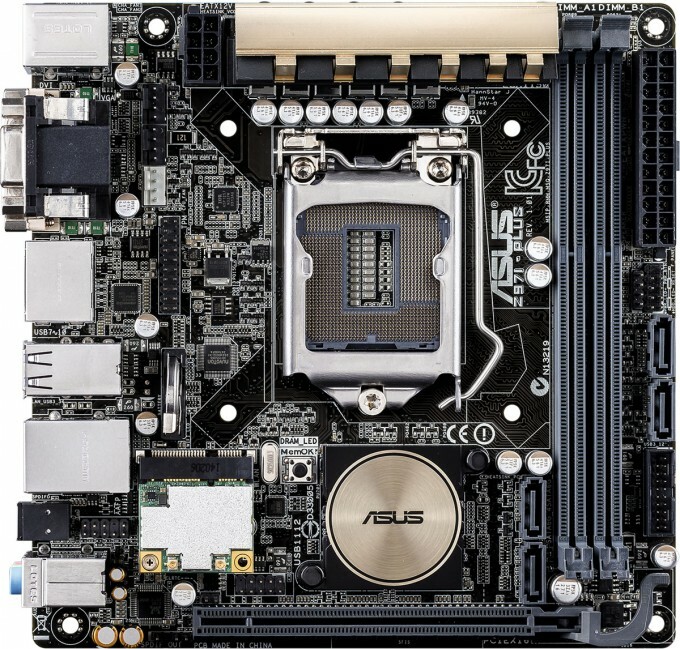 At this point, the article is begging for an image, so allow me to share a shot of the first Z97 motherboard I’ll be taking a look at: The ASUS Z97I-PLUS, an ITX offering. 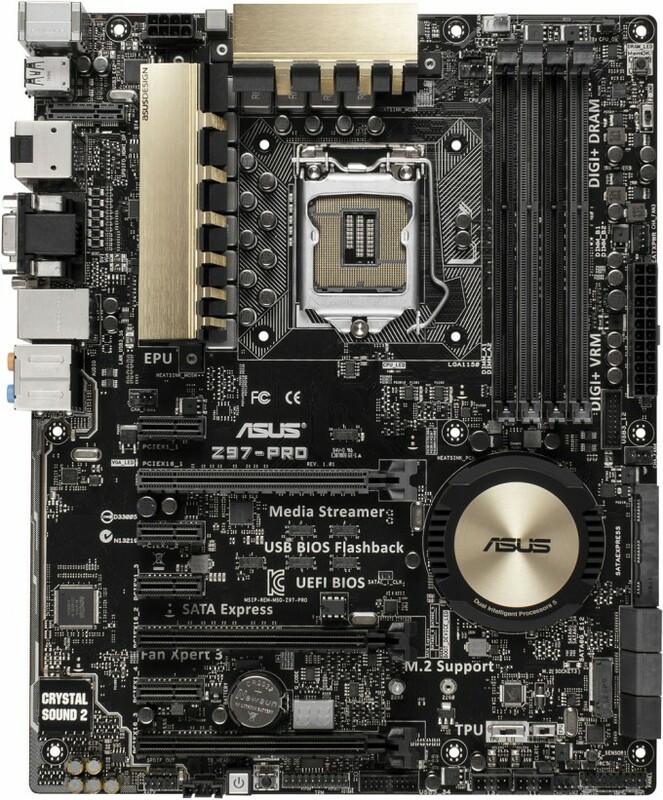 With its Z87 mainstream lineup, ASUS stylized it using dark PCBs and gold accents. 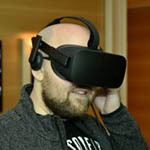 Overall, the look was quite nice, though it was oft-debated whether it actually looked “better” than what the company gave us previously (I’m of the mind that it was in fact better). This time around, the same dark PCB is used, but the gold accents have turned dull, perhaps a little metallic, or brassy. The color scheme as a whole puts the mainstream lineup closer than ever to the TUF one, so this could be ASUS’ way of highlighting its commitment to stability and durability on these boards. A signature for this generation’s mainstream ASUS boards is a round chipset heatsink. I have to admit that I don’t care much for the look of this, but I do appreciate ASUS’ willingness to do something a little different. Heatsink aside, the entire lineup looks fantastic; I really do like the color schemes and overall designs that ASUS has delivered here. ASUS has taken a lot of pride in its EFI implementations since its first one with the P67 generation, and as expected, things have been further refined here – although “overhauled” might be more appropriate. At the forefront, the color scheme has clearly been board-inspired, and options have been rearranged for even easier access. One of the key differences between ASUS’ EFIs and others is the “EZ Mode” screen. This screen is the first one anyone entering the EFI will see, and its goal is allow users to tweak common settings. With this design, not many will need to enter the “Advanced Mode”. You can set the time, enable XMP and RAID, adjust boot priorities, and check up on a variety of information, like voltages and temperatures. 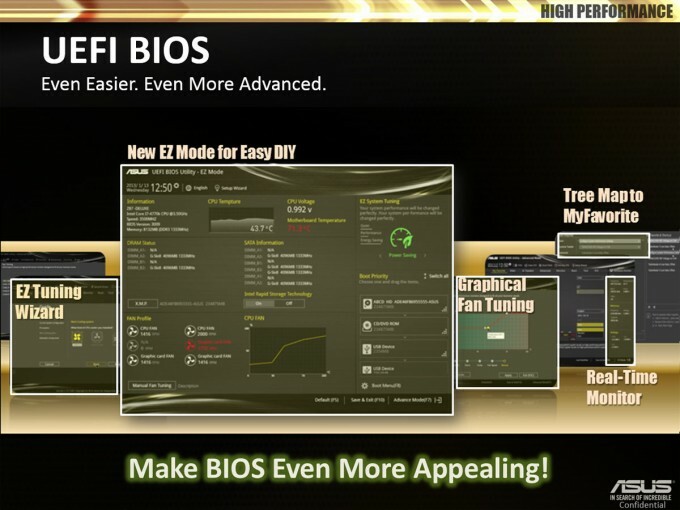 Beyond the easier-to-use EFI, specific functions have also been improved, like the Overclocking Wizard. When taking advantage of this feature now, you’ll be asked what your main PC use is, and what kind of CPU cooler you’re using (stock, tower, water, or “I’m not sure”). RAID Wizard has also seen some vast improvements, allowing those who don’t understand the different RAID levels to choose the right one by asking them what their goal is, and providing graphical representations of how the data will be stored. 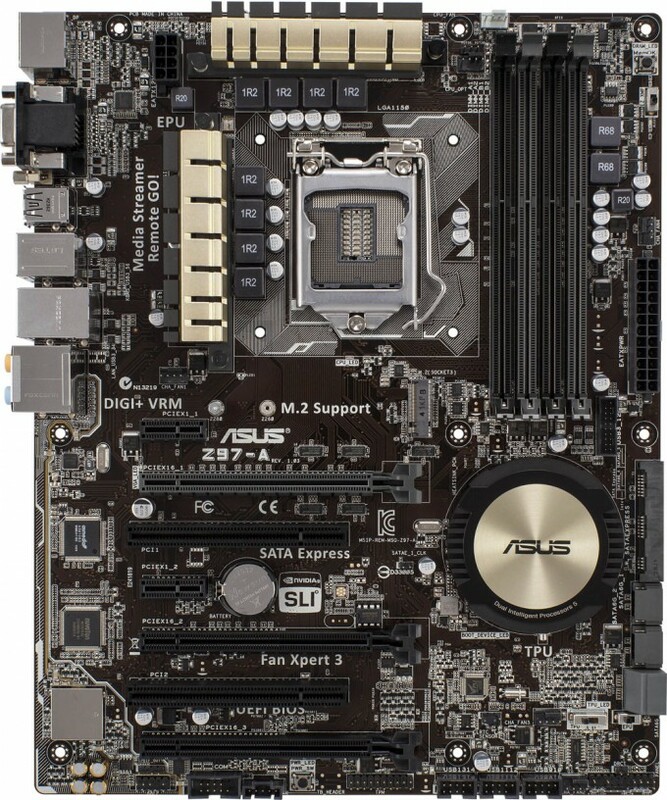 ASUS has long offered outstanding fan configuration options on its motherboards, but to take the best advantage of it, Windows software had to be used. Well, with Z97, that’s not so much the case, since now, the company offers the full bell curve control right there. For those who don’t feel like meticulously configuring all of the hooked-up fans, the automatic detection tool might prove suitable enough. SATA Express SSDs are a major selling feature of the Z97 chipset, and ASUS is very pleased with the performance that can be seen from its boards. 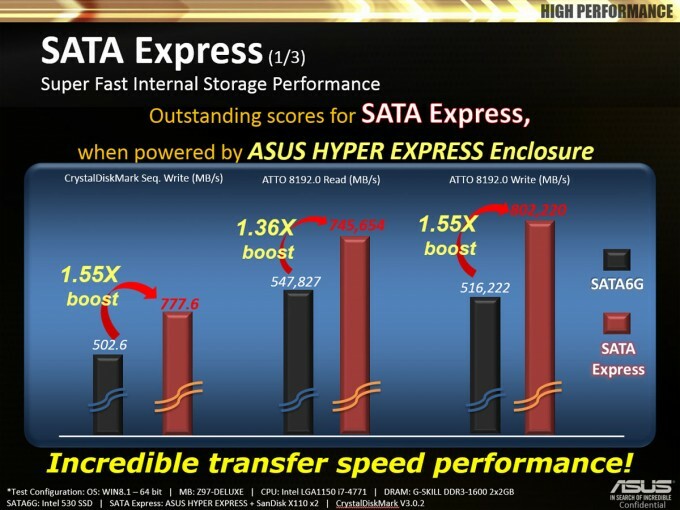 Versus a SATA 6Gbps SSD, ASUS’ own HYPER EXPRESS SATA Express SSD can reach heights of about 750MB/s with ATTO, and 777MB/s with CrystalDiskMark. The verdict is still out on how valuable SATA Express SSDs will be to the end consumer, but if pricing is kept in line with SATA 6Gbps variants, it’d be a no-brainer to opt for a SATA Express version. Since SATA Express drives are not going to become plentiful for some time, ASUS’ HYPER EXPRESS allows you to combine two SATA or mSATA SSDs together to attain the sort of speeds mentioned above. It’s a very cool offering, even if it’s quite niche. 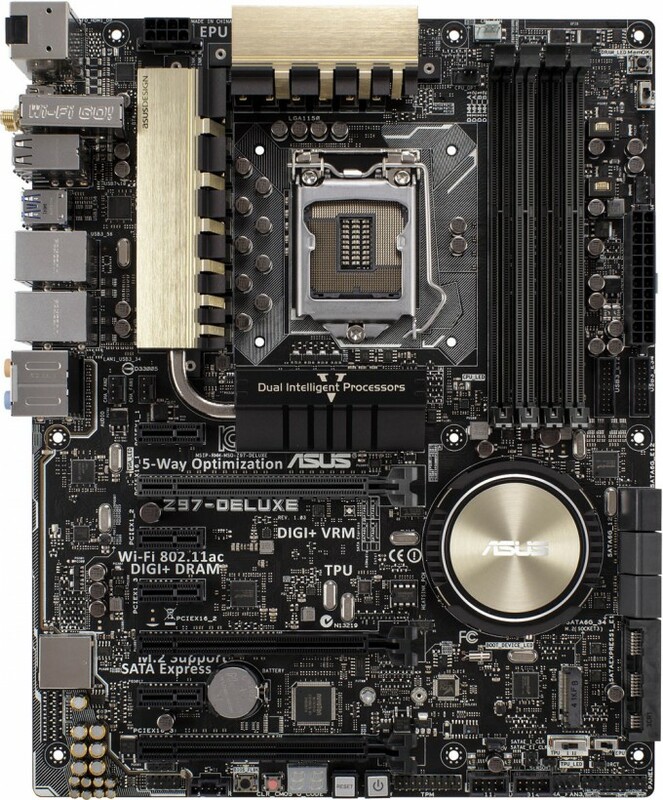 Z97 brings ASUS’ 5th generation Dual Intelligent Processors, which refers to the EPU energy-saving chip and also the TPU performance-enhancing chip. Also part of this family is Fan Xpert 3, DIGI+ Power, and a brand-new tool called Turbo App. 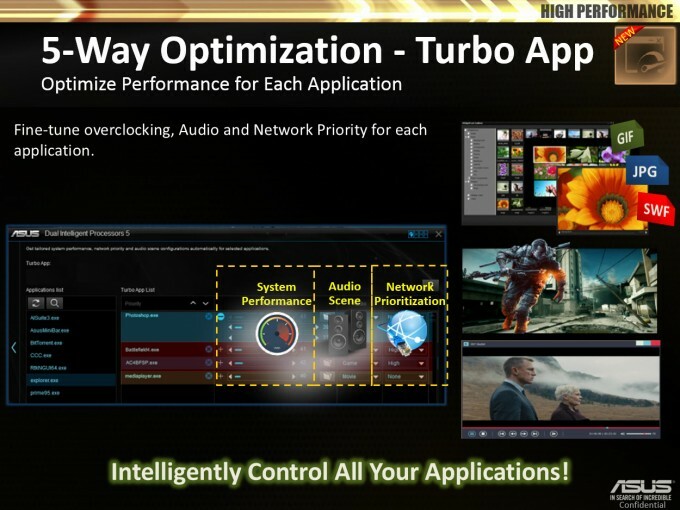 At this point, I haven’t touched Turbo App, but it’s easy to understand its goals with the above slide. In a way, it can be considered a task manager, although it doesn’t appear that you’d be able to kill an app through it. What you can do, though, is adjust performance and network priorities for a given app, as well as set a certain audio profile on a per-app basis. While many may not need customization like this, it could prove extremely useful to some, if one app is being a little stubborn because another one is hogging the CPU, or the network. While there exist a number of other cool features on ASUS’ Z97 mainstream boards, I have to stop somewhere – else I’ll never get to actually test a board. Other key features I’ll namedrop are Crystal Sound 2 (audio engine), NFC EXPRESS 2 (wireless phone charging and data syncing), Turbo LAN, and 802.11ac on most mainstream Z97 boards. For those wanting to take advantage of the NFC EXPRESS 2 and Wireless Charging, a special version of the Z97-DELUXE board will be made available that includes both. Some key features of these boards include a mini-DP port alongside DP and HDMI, a DIGI+ 16-phase solution for the CPU and 2-phase for the memory, dual Intel LANs, 802.11ac wireless, 10 SATA 6Gbps, 2x SATA Express, and up to 18 USB ports, 10 of which are 3.0. The Z97-PRO also has a second variant which includes the ac wireless; otherwise the boards are the same. Compared to the DELUXE, the PRO’s CPU power phase count gets knocked-down to 12, and one of the Intel LANs disappears. 8 SATA 6Gbps ports is included along with 1x SATA Express. Further, 14 USB ports can be found in total, with 8 being 3.0. The Z97-A is the lowest-end mainstream board we know about, but it still has some solid specs. For the most part, it’s spec’d quite similarly to the above boards, but only has 6 USB 3.0 ports (and 8 2.0), 6x SATA 6Gbps, and no Wi-Fi. Like the PRO, this board has only one SATA Express port as well as one Intel LAN port. Up next, coverage continues with a look at the TUF and RoG series.